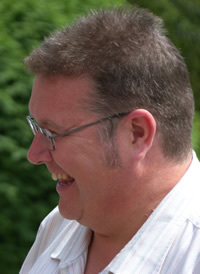 Stephen Hare, the ICAN Finance principle, has been a commercial finance broker since the	early 1990’s. Most clients are referred to ICAN Finance by their bank, business advisor or	accountant - though, of course, we're happy to hear from businesses direct. Steve's specialty is cash flow financing though ICAN Finance are able to help finance growth	or recovery through many other means. Most Commercial Finance Brokers charge an up front fee (we've even heard of one charging a	"reading fee!") and this is payable whether your case proceeds or not! We work purely	and simply on a success basis. Also, we define success as sourcing finance facilities that you	actually accept, unlike some other Brokers who charge on the production of an offer whether it	is acceptable or not! Our starting point is to get to understand the needs of your business. Only then can we make	recommendations as to how best to structure your finances to meet the current and future demands	of your business. Most Brokers specialise in just one form of finance or another. This means they would be	unable to link a number of lending vehicles together to achieve an overall solution, if that is	what is required. ICAN Finance, however, is equally at home with commercial mortgages, cashflow	finance, asset finance, trade finance or whatever else might be required. In fact, we have a	reputation for formulating creative solutions in constructing a package lend. Many Brokers will produce a funding proposal and then send it to lots and lots of lenders and	then wait for the phone to ring. We don't believe this shotgun approach works to the client's	best advantage. Our approach is to target the specific lenders who we think are most likely to	favour your proposition. We then talk to them, on a no-names basis, about your case. For those	who are interested we can then tailor our proposal to explicitly address what they are looking	for. By speaking to the lenders at a very early stage, as described above, we can very quickly	gauge the likely success of your case. So, you will know very quickly what we can do! We will keep you informed at every stage of the process.